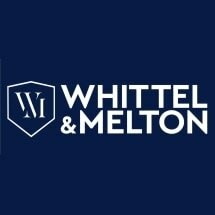 At the law firm of Whittel & Melton, LLC, we focus on people, not cases. We offer legal services in most of the areas of law that affect average people, including personal injury, wrongful death and criminal defense. We serve clients in Gainesville and throughout the state of Florida. We work to give each of our clients the personal attention they deserve. We make it a point to return phone calls promptly because we know that our clients’ legal issues are important to them. Our goal is to help you reach a solution that meets your objectives and helps you move on with your life. We are always available to answer your question by phone, e-mail or an in-person meeting. Whether you are dealing with an auto accident injury, a DUI arrest or another legal issue, our lawyers have the experience to protect your rights and explain your options every step of the way. While most cases settle through negotiations before they reach a courtroom, we are experienced trial lawyers who are willing and able to take your case as far as it needs to go to obtain a satisfactory outcome. Our lawyers include former state of Florida prosecutors, retired military personnel and a retired New York City police officer. Our two founding members, Robert G. Whittel and Jason M. Melton, are former nominees for state and federal office. No matter what type of issue you are facing, we offer a free initial consultation to discuss your case. Call 352-293-2968 to schedule a consultation. We offer evening and weekend appointments. Phones are answered 24 hours a day. We offer nine office locations in Florida, including Gainesville. Se habla español.